At Francis D. McIntyre, PC, our immigration practice is handled by Marina Kirshenbaum, of counsel. Ms. Kirshenbaum is one of only a very few Russian-speaking attorneys in the region and she is licensed to practice in federal courts in both New Jersey and New York. 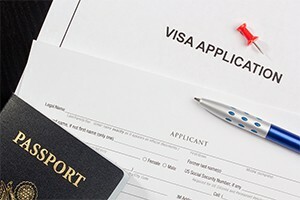 As such, our immigration practice is not limited to the Newark or northeastern New Jersey areas but is expanded to include clients from throughout the state of New Jersey and the New York City area of New York. Marina Kirshenbaum is well-respected by the United States Citizenship and Immigration Services (USCIS), the Department of Labor, and other immigration professionals for both the quality of her work and the ethical standards she maintains. Her clients appreciate being able to have the process explained clearly, to have their questions and concerns answered promptly, and to know that their important immigration issues are being handled by a knowledgeable and experienced immigration lawyer. For answers to your questions about immigration or citizenship and quality legal help—call Francis D. McIntyre, PC at (908) 264-7220 or via e-mail, today. Our law offices are located in downtown Westfield, New Jersey within a short walk from the Westfield train station. We offer payment plans and flexible appointment hours for your convenience.